Obesity is a real problem in this country, and an almost endless list of scientists, nutritionists, politicians and even TV personalities have weighed in on the issue. Their proposed solutions to our swelling waistlines are diverse, some better than others. Who do you trust? Based on their knowledge of science and communication skills, here are the 5 people doing the most to help Americans shed their excess weight and live healthier lives. Please note that these criteria necessarily eliminate people like Jillian Michaels and Oprah. 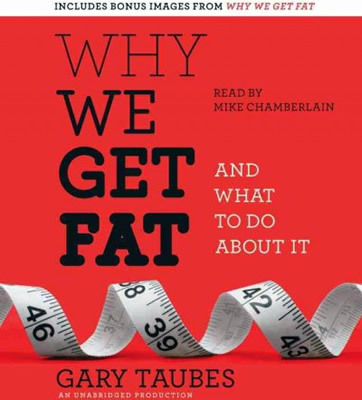 (1) Gary Taubes - Taubes is a popular science writer and the author of two important books, Good Calories, Bad Calories and Why We Get Fat. In 2002, Taubes stirred up controversy in public health circles with a New York Times Magazine article critiquing the efficacy of low-fat diets, and he&apos;s hasn&apos;t stopped since. Among his most controversial ideas, Taubes argues that saturated fat is healthy and there is more to losing weight than counting calories and exercising. Because of his willingness to expose the public to ideas they otherwise would have missed, Taubes is one of the most important figures in the obesity debate today. (2) Tom Naughton - Just about everything Morgan Spurlock said in his 2004 documentary Super Size Me is false. In 2009, health writer and filmmaker Tom Naughton produced an entertaining and educational rebuttal to Spurock&apos;s film, called Fathead. Following up on the work of writers like Taubes, Naughton interviewed a host of experts, sifted through the scientific literature, and shot the accepted dietary wisdom full of holes. Naughton maintains a popular blog and regularly gives lectures designed to educate the public about science. (3) Mark Sisson is a former Ironman competitor, health blogger, and the author of The Primal Blueprint. Sisson is a prominent advocate of Primal Living, which is designed to emulate the dietary and exercise habits of our evolutionary ancestors. He has helped many thousands of people change their lives for the better, and is widely disliked by vegetarians and vegans. (4) Loren Cordain - Scientists have a reputation for being incapable of communicating with regular people. Loren Cordain is one of the few who doesn&apos;t have that problem. Cordain is a professor of health and exercise science at Colorado State University. He has published extensively in peer-reviewed journals and authored several books for the general public, including The Paleo Diet. (5) Eric Oliver - Arguably no political issue is more shrouded in myth than obesity. Few people have done more to refute the myths than political scientist and author of Fat Politics, Eric Oliver. Oliver began researching obesity in 1999, when he planned to write a book arguing that obesity would be the downfall of American society. As he got deeper into his research, Oliver found little evidence for that assertion. In recent years, he has regularly sparred with the food mullahs who attempt to legislate obesity out of existence based on shoddy science.